Holiday. | Helping the best to get better! ← Timing: the ignored factor in training and performance: chronotyping and chronotraining. Holiday, the essential recovery from our daily routine, recharging the mental batteries, like wiping the blackboard at school and finding inspiration in other activities. Mine is over, no problem, I always saw life as one long holiday, speckled with some necessary bursts of work and not the other way around. 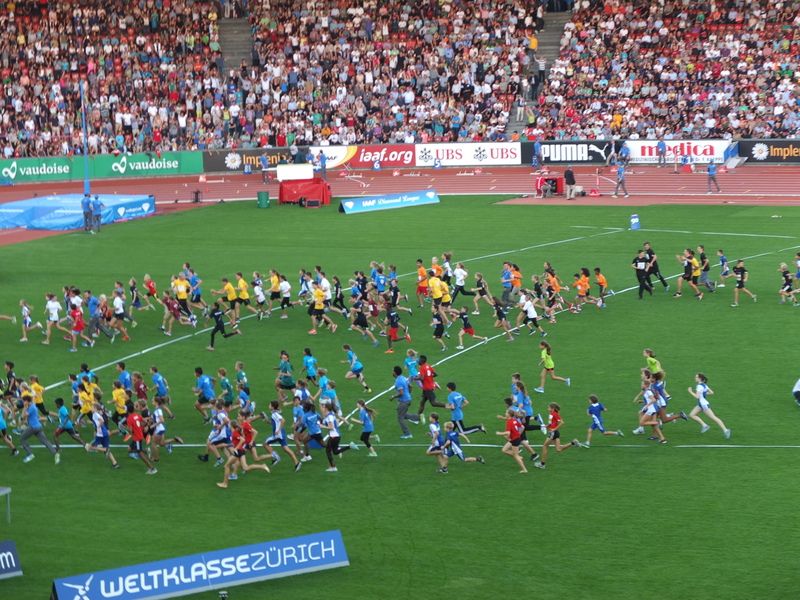 Part of my holidays was being invited to the famous track meet Weltklasse in Zürich, the Mecca of track and field. The yearly track and field meet in Zürich is one of the oldest, but for sure one of the highlights of the track and field season that athletes and coaches are looking forward to. Not only its great history with many records, but also the atmosphere in the stadium. The crowd sits close to the track, the stadium is filled with track and field experts and fans. The organization and hospitality are impeccable, these guys know what track and field at this level is all about. The hotel, the food, the transport, the staff, everything has the atmosphere of a Swiss precision clockwork. They spend a lot of effort on attracting young kids to track and field through a system called Kids Cup, a nationwide system of simple local track competitions that works well. 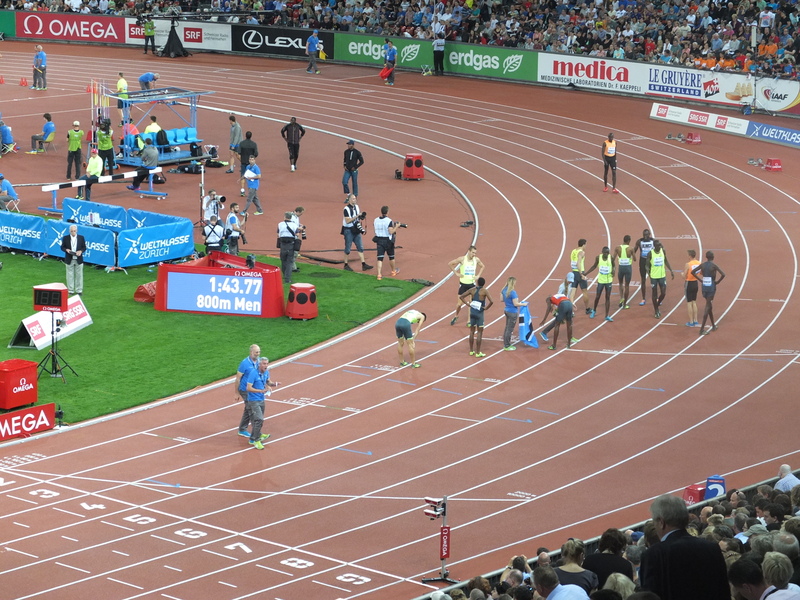 Switzerland is one of the few countries that hosts two Diamond League or Grand Prix competitions in track and field: Zurich and Lausanne. It also hosts other nicer smaller competitions like Bellinzona or La Chaux de Fonds, and many athletes have prepared themselves at the altitude training camps in Davos or St.Moritz. Switzerland is doing a great job here. The Swiss population is small and you might not know many Swiss track and field world class athletes, still they are a force to be reckoned with. Think about the world class performances in the past e.g. Markus Ryffel (middle and long distances), Werner Günthor (shotput), Andre Bucher (800m) or Victor Röthlin (marathon) and now e.g. Kariem Hussain (400m hurdles). It was good to see Tyson Gay as well as Asafa Powell back on the track after their suspensions. However the general public thinks their disappearance from the track for a few months casts a dark cloud over their career. Justified or not, their names are tainted forever by the doubt of doping use. And this might be one of the reasons why the “Mother of All Sports” is a dying dinosaur. Just too big to die fast, but a lot of parameters show that track and field, being the oldest, the most global and therefore the most developed sport in the world is struggling. It’s just for the exceptions like Usain Bolt and the popularity of long-distance running that the struggle is long. The always present black cloud of doping use is certainly one of the factors, but also the corruption and nepotism at the top of the IAAF is killing the sport in the long-term. The same old story: the people at the top consider a federation as their own property, their personal cow that they will ride as long as possible and milk as often and as much as they can. Sad enough to watch as track and field is a beautiful sport that globally has attracted and pleased millions of people. I think an Olympic 100 meter final is one of the most viewed (sports)events in the world. So too bad that this wonderful sport is a victim of greed, nepotism and ignorance. Sports, politics, money and power: an unsuccessful formula for the true fans and spectators. Oh, by the way, your homework for this week is to look for the video’s of the training of Werner Günthor on You Tube, especially when you and working in strength and conditioning. Well, Werner Gunthor’s name puts a smile on my face! I know what you mean. But in my memory it was a competition in Hengelo, a meet between Holland Greece and Switzerland. And I think the Swiss high jumper got injured during the warmingup, so Werner took his place for the points. And I seem to remember he jumped 2.05 from a very short approach 3-5 steps. Impressive it was!